August 11, 2018 Added card placeholders to the Star Trek: Deep Space Nine Heroes & Villains set. August 10, 2018 Updated all the related plugins with the website. Broke the “Artist Valuations” tool. August 7, 2018 Updated site software and plugins. Cleared site cache. January 24, 2018 Added five images to the 1979 Star Trek: The Motion Picture (Lyons Maid) set. This completes the front images for the set. 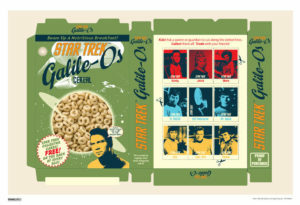 January 14, 2018 Added the digital sell sheet to the Star Trek 50th Anniversary set. January 14, 2018 Deleted black border autographs of Lou Antonio and Skip Homeier from Star Trek The Original Series 50th Anniversary set. January 14, 2018 Added the digital sell sheet to the Star Trek The Original Series 50th Anniversary set. 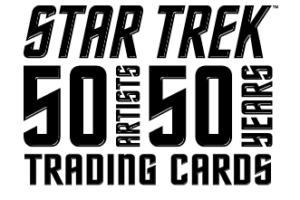 January 14, 2018 Corrected information for the Star Trek II: The Wrath of Khan (FTCC) set. 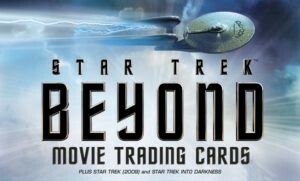 January 14, 2018 Added links to Rittenhouse Archives set pages to the Star Trek Legends set. January 14, 2018 Added 210 images to Star Trek Legends set. January 4, 2018 Fixed issue with the Artist Signature Identifier page. It wasn’t showing two artist names because they have special characters. January 4, 2018 Corrected Artists Valuation page to fix a bug in computing the average price for each artist.